I have always been a gum chewer; yes Supari (more specifically Tulsi) was always a bigger vice of mine for a while but I was carrying Fusen Gum in my O-Levels days in a special box that ensured the gum would not get soaked in sweat in my pocket (car A/Cs in those days was a luxury and jawani mein khail kood bhi kar laitay thay kabhi kabhi). I was known in O-Levels and earlier as Bubble (shortened from Bubblegumwala — stemming from my name Balagamwala) and to this day one of my oldest friend’s family still calls me Bubble…. choices were limited in those days — Fusen Gum, Spout (with its liquid center) and then we had BP’s Bubble Bar. This was pre- Ding Dong era and my memory eludes if Hilal was a player in those days or not. There was some local prevalent Bubblegum brand whose name eludes me currently (was it King Kong?). It certainly was not called Ding Dong. Having quit Tulsi in 2003 and smoking in 2004 (and again quitting Tulsi in 2007 — hey one needs a crutch after giving up smokes), chewing gum was again my go-to vice. It has always gotten my brain working during periods of studying or working. And it helped keep the smoking and Tulsi cravings at bay too. I bounced from brand to brand, never really enjoying the local brands much and after couple years of Extra (which was my brand in college in USA and I first had in 1993 when my parents returned with a big box from the USA), I gravitated to Trident Cinnamon these last couple years. I liked the chewing consistency especially when I popped two in my mouth and the Cinnamon taste was nice and strong for my liking. Extra just didn’t seem to be chewy enough for me. Then came the whole issue with Trident posting on their page that some varieties (such as a Trident Splash) may have porcine (that’s pig-based) gelatin and all of a sudden there was always a feeling of suspicion of the ingredients in the back of my mind (though visually there is not any major red flags in the USA manufactured version of regular Trident). I was not going to go and have Ding Dong (I am sorry but it’s just plain bad gum). Ho hum bada bing bada bum we skip forward to current day (ok ok 2 weeks back — I take my time to write things OK) when Mondelez Pakistan (wohi Cadbury kuch meetha hojaye walay loag) sent me a nice little arrangement — announcing the official launch of Trident in Pakistan. A big shout out to Asiatic Public Relations for keeping me on their list for this. Four flavors — Peppermint, Spearmint, Strawberry and Watermelon. Single piece retailing at Rs 5 and a 5-pack retailing at Rs 25. This is comparable to the “imported” version being smuggled in — the 24 piece pack is Rs 100 in retail. The official Pakistani packs are actually made in Egypt (singles) and Turkey (5-packs). The pieces are slightly flatter compared to the international version and I have to see if the actual grammage per piece is the same or not. I personally like the packaging for the Pakistan version as the 24-piece one is not a very good usability design for practical purposes. The best part of the official version being sold (for me atleast) is that it takes care of the whole uncertainty of Halal or Haram. Here is a reply by Trident Pakistan on their Facebook page. In every country where we sell our products, we strictly comply with local laws and regulations, and employ stringent quality procedures to ensure that our products are of the highest standard of safety and quality. Therefore, all flavours and units of Trident being sold in Pakistan, under the umbrella of Mondelēz Pakistan Ltd., are halal certified at source. We hope this satisfies your concern. Ofcourse there are plenty of folks out there who are either conspiracy theory junkies or have a low level of trust. For them I advise asking the local companies for their Halal certification as well. How does the Pakistan version fare against the US version in terms of taste? Well to be honest I have mainly stuck to Cinnamon on the US version so can’t give an apples to apples version of it. Having tried all four Pakistan flavors (thanks to the free sampler I got from Mondelez Pakistan) I have decided I would stick with Peppermint as the main flavor with Watermelon now and then for some change. Why? Well, I never liked Spearmint gum much for some reason (whichever brand it may be). So one flavor was kind of out by default. The Strawberry flavor starts off real good but the flavor disappears very fast and one starts getting a bitter taste which I think is actually the artificial sweetner taste to blame. Watermelon is really good and lasts longer than Strawberry as well. However, it too fades a tad bit too fast for my liking. Peppermint is the one that gives me a refreshed mouth for long enough for me to tire of the gum. Actually to be honest Cinnamon is great in this aspect — the flavor keeps going extremely long. 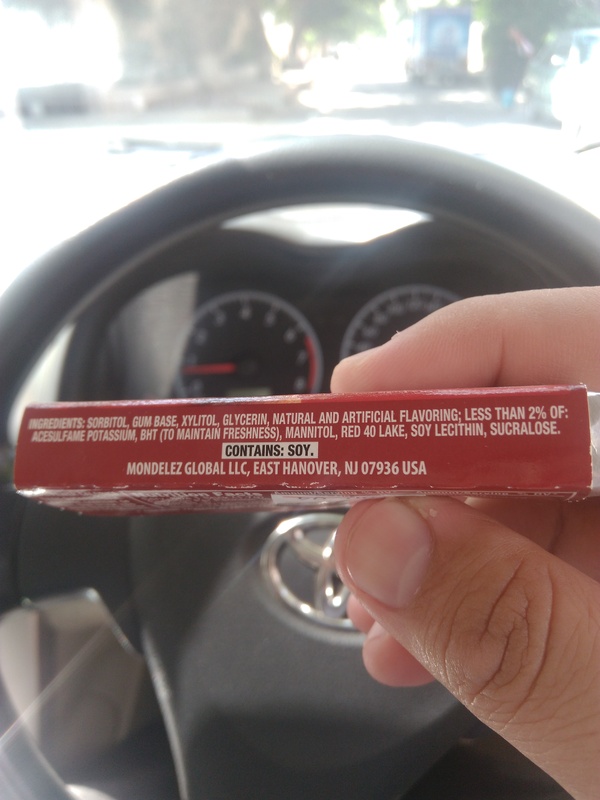 Hence, I am about to start a petition soon on Change.org asking Mondelez Pakistan for Cinnamon to be launched here. Let me know below if you would sign it. All in all, being a Trident chewer before also, I am now a customer of Trident Pakistan. 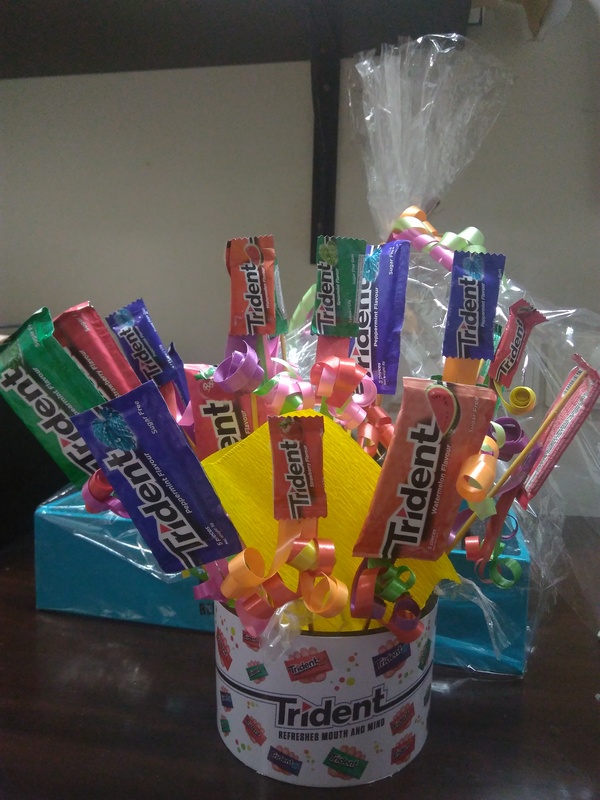 Now I am looking forward for Trident to launch more flavors soon to give fans a bigger choice and to keep me hooked by giving me some variety.